From Cape Town, South Africa to Sao Paulo, Brazil, we are witnessing unprecedented, sustained drought in densely populated areas of the world. Companies can no longer rely on consistent availability of potable water in many areas of the world. 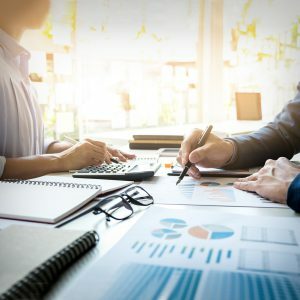 To ensure business continuity, companies are beginning to evaluate and disclose its exposure to water-related risks in both operations and the value chain. CDP’s updated 2018 Water Security questionnaire is designed to elicit expanded information on the type, scale and potential impact of water-related risks and opportunities, as well as how companies are responding to identified risks and opportunities. 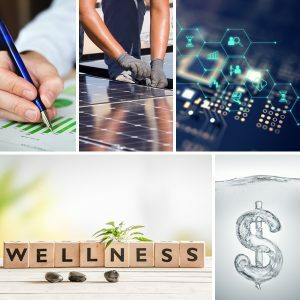 For example, a company may opt to invest in technology and infrastructure to reuse and recycle water that will reduce dependence on potable water as well as water discharges and water-related costs. Throughout the questionnaire, respondents will see new and amended questions related to risks and opportunities in operations and the value chain and context-based water accounting and target-setting. 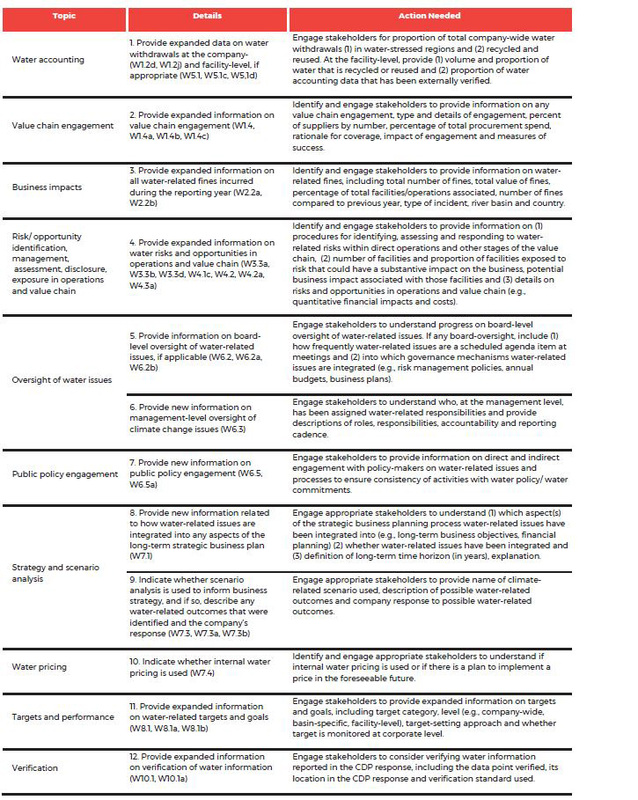 CDP has also introduced questions on scenario analysis and internal water pricing this year — these emerging water stewardship trends will separate the leaders in the years to come. Companies outside of these sectors will respond to the general CDP 2018 Water Security questionnaire. Key changes to the general water questionnaire are outlined in the table below. As CDP’s scoring methodology will not be released until March 2018, the scoring implications of new and amended questions are unclear at this time. CDP will also publish a detailed reporting guidance document in March, which will provide additional detail on these changes. Given these changes, we recommend developing a plan now to address changes in the CDP Water Security questionnaire — in terms of enhancing your organization’s understanding of water risks and opportunities, building climate resilience, improving your 2018 CDP response and other corporate disclosures, and preparing for potential internal or external requests for information. For guidance on how to respond to the CDP 2018 Water and Climate Change questionnaires, including scoring information for the new and amended questions outlined above, please see our forthcoming whitepaper, Making the Most of CDP 2018, whose publication will coincide with the release of the scoring methodology in March 2018. For a summary of key changes to the CDP 2018 Climate Change questionnaire, please see our article, 2018 CDP Climate Change Questionnaire: Influence of the Task Force on Financial-Related Climate Disclosures (TCFD) and other Key Changes. 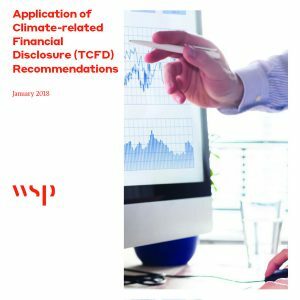 For additional information on the TCFD recommendations, please see our whitepaper, Application of Climate-related Financial Disclosure (TFCD) Guidelines.